The Upanishads are at once profound religious scriptures, - for they are a record of the deepest spiritual experiences, - documents of revelatory and intuitive philosophy of an inexhaustible light, power and largeness and, whether written in verse or cadenced prose, spiritual poems of an absolute, an unfailing inspiration inevitable in phrase, wonderful in rhythm and expression. It is the expression of a mind in which philosophy and religion and poetry are made one, because this religion does not end with a cult nor is limited to a religio-ethical aspiration, but rises to an infinite discovery of God, of Self, of our highest and whole reality of spirit and being and speaks out of an ecstasy of luminous knowledge and an ecstasy of moved and fulfilled experience, this philosophy is not an abstract intellectual speculation about Truth or a structure of the logical intelligence, but Truth seen, felt, lived, held by the inmost mind and soul in the joy of utterance of an assured discovery and possession, and this poetry is the work of the aesthetic mind lifted up beyond its ordinary field to express the wonder and beauty of the rarest spiritual self-vision and the profoundest illumined truth of self and God and universe. 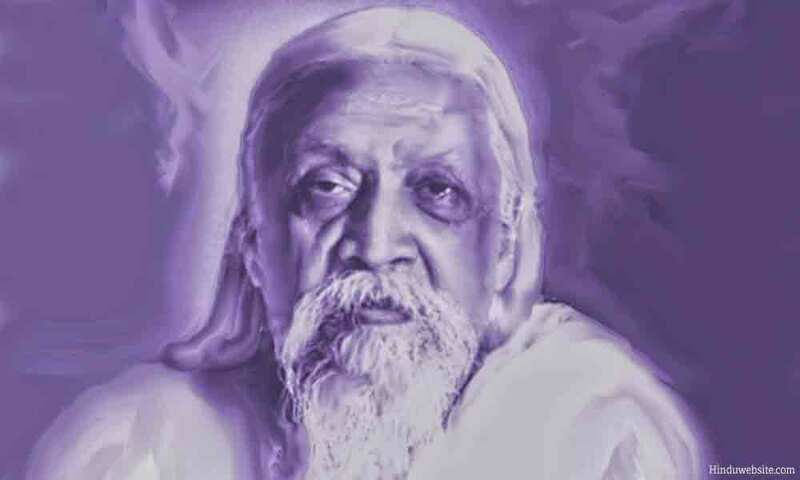 Here the intuitive mind and intimate psychological experience of the Vedic seers passes into a supreme culmination in which the Spirit, as is said in a phrase of the Katha Upanishad, discloses its own very body, reveals the very word of its self-expression and discovers to the mind the vibration of rhythms which repeating themselves within in the spiritual hearing seem to build up the soul and set it satisfied and complete on the heights of self-knowledge. This character of the Upanishads needs to be insisted upon with a strong emphasis, because it is ignored by foreign translators who seek to bring out the intellectual sense without feeling the life of thought vision and the ecstasy of spiritual experience which made the ancient verses appear then and still make them to those who can enter into the element in which these utterances move, a revelation not to the intellect alone, but to the soul and the whole being, make of them in the old expressive word not intellectual thought and phrase, but Sruti, spiritual audience, an inspired Scripture. The philosophical substance of the Upanishads demands at this day no farther stress of appreciation of its value; for even if the amplest acknowledgement by the greatest minds were wanting, the whole history of philosophy would be there to offer its evidence. The Upanishads have been the acknowledged source of numerous profound philosophies and religions that flowed from it in India like her great rivers from their Himalayan cradle fertilising the mind and life of the people and kept its soul alive through the long procession of the centuries, constantly returned to for light, never failing to give fresh illumination, a fountain of inexhaustible life-giving waters. Buddhism with all its developments was only a restatement, although from a new standpoint and with fresh terms of intellectual definition and reasoning, of one side of its experience and it carried it thus changed in form but hardly in substance over all Asia and westward towards Europe. The ideas of the Upanishads can be rediscovered in much of the thought of Pythagoras and Plato and form the profoundest part of Neo-platonism and Gnosticism with all their considerable consequences to the philosophical thinking of the West, and Sufism only repeats them in another religious language. The larger part of German metaphysics is little more in substance than an intellectual development of great realities more spiritually seen in this ancient teaching, and modern thought is rapidly absorbing them with a closer, more living and intense receptiveness which promises a revolution both in philosophical and in religious thinking; here they are filtering in through many indirect influences, there slowly pouring through direct and open channels. There is hardly a main philosophical idea which cannot find an authority or a seed or indication in these antique writings - the speculations, according to a certain view, of thinkers who had no better past or background to their thought than a crude, barbaric, naturalistic and animistic ignorance. And even the larger generalisations of Science are constantly found to apply to the truth of physical Nature formulas already discovered by the Indian sages in their original, their largest meaning in the deeper truth of the spirit. And yet these works are not philosophical speculations of the intellectual kind, a metaphysical analysis which labours to define notions, to select ideas and discriminate those that are true, to logicise truth or else to support the mind in its intellectual preferences by dialectical reasoning and is content to put forward an exclusive solution of existence in the light of this or that idea of the reason and see all things from that viewpoint, in that focus and determining perspective. The Upanishads could not have had so undying a vitality, exercised so unfailing an influence, produced such results or seen now their affirmations independently justified in other spheres of inquiry and by quite opposite methods, if they had been of that character. It is because these seers saw Truth rather than merely thought it, clothed it indeed with a strong body of intuitive idea and disclosing image, but a body of ideal transparency through which we look into the illimitable, because they fathomed things in the light of self-existence and saw them with the eye of the Infinite, that their words remain always alive and immortal, of an inexhaustible significance, an inevitable authenticity, a satisfying finality that is at the same time an infinite commencement of truth, to which all our lines of investigation when they go through to their end arrive again and to which humanity constantly returns in its minds and its ages of greatest vision. The Upanishads are Vedanta, a book of knowledge in a higher degree even than the Vedas, but knowledge in the profounder Indian sense of the word, Jnana. Not a mere thinking and considering by the intelligence, the pursuit and grasping of a mental form of truth by the intellectual mind, but a seeing of it with the soul and a total living in it with the power of the inner being, a spiritual seizing by a kind of identification with the object of knowledge is Jnana. And because it is only by an integral knowing of the self that this kind of direct knowledge can be made complete, it was the self that the Vedantic sages sought to know, to live in and to be one with it by identity. And through this endeavour they came easily to see that the self in us is one with the universal self of all things and that this self again is the same as God and Brahman, a transcendent Being or Existence, and they beheld, felt, lived in the inmost truth of all things in the universe and the inmost truth of man's inner and outer existence by the light of this one and unifying vision. The Upanishads are epic hymns of self-knowledge and world-knowledge and God-knowledge. The great formulations of philosophic truth with which they abound are not abstract intellectual generalisations, things that may shine and enlighten the mind, but do not live and move the soul to ascension, but are ardours as well as lights of an intuitive and revelatory illumination, reachings as well as seeings of the one Existence, the transcendent Godhead, the divine and universal Self and discoveries of his relation with things and creatures in this great cosmic manifestation. Chants of inspired knowledge, they breathe like all hymns a tone of religious aspiration and ecstasy, not of the narrowly intense kind proper to a lesser religious feeling, but raised beyond cult and special forms of devotion to the universal Ananda of the Divine which comes to us by approach to and oneness with the self-existent and universal spirit. And though mainly concerned with an inner vision and not directly with outward human action, all the highest ethics of Buddhism and later Hinduism are still emergences of the very life and significance of the truths to which they give expressive form and force, - and there is something greater than any ethical precept and mental rule of virtue, the supreme ideal of a spiritual action founded on oneness with God and all living beings. Therefore even when the life of the forms of the Vedic cult had passed away, the Upanishads still remained alive and creative and could generate the great devotional religions and motive the persistent Indian idea of the Dharma. The Upanishads are the creation of a revelatory and intuitive mind and its illumined experience, and all their substance, structure, phrase, imagery, movement are determined by and stamped with this original character. These supreme and all-embracing truths, these visions of oneness and self and a universal divine being are cast into brief and monumental phrases which bring them at once before the soul's eye and make them real and imperative to its aspiration and experience or are couched in poetic sentences full of revealing power and suggestive thought-colour that discover a whole infinite through a finite image. The One is there revealed, but also disclosed the many aspects, and each is given its whole significance by the amplitude of the expression and finds as if in a spontaneous self-discovery its place and its connection by the illumining justness of each word and all the phrase. The largest metaphysical truths and the subtlest subtleties of psychological experience are taken up into the inspired movement and made at once precise to the seeing mind and loaded with unending suggestion to the discovering spirit. There are separate phrases, single couplets, brief passages which contain each in itself the substance of a vast philosophy and yet each is only thrown out as a side, an aspect, a portion of the infinite self-knowledge. All here is a packed and pregnant and yet perfectly lucid and luminous brevity and an immeasurable completeness. A thought of this kind cannot follow the tardy, careful and diffuse development of the logical intelligence. The passage, the sentence, the couplet, the line, even the half line follows the one that precedes with a certain interval full of an unexpressed thought, an echoing silence between them, a thought which is carried in the total suggestion and implied in the step itself, but which the mind is left to work out for its own profit, and these intervals of pregnant silence are large, the steps of this thought are like the paces of a Titan striding from rock to distant rock across infinite waters. There is a perfect totality, a comprehensive connection of harmonious parts in the structure of each Upanishad; but it is done in the way of a mind that sees masses of truth at a time and stops to bring only the needed word out of a filled silence. The rhythm in verse or cadenced prose corresponds to the sculpture of the thought and the phrase. The metrical forms of the Upanishads are made up of four half lines each clearly cut, the lines mostly complete in themselves and integral in sense, the half lines presenting two thoughts or distinct parts of a thought that are wedded to and complete each other, and the sound movement follows a corresponding principle, each step brief and marked off by the distinctness of its pause, full of echoing cadences that remain long vibrating in the inner hearing: each is as if a wave of the infinite that carries in it the whole voice and rumour of the ocean. It is a kind of poetry - word of vision, rhythm of the spirit, - that has not been written before or after. The imagery of the Upanishads is in large part developed from the type of imagery of the Veda and though very ordinarily it prefers an unveiled clarity of directly illuminative image, not unoften also it uses the same symbols in a way that is closely akin to the spirit and to the less technical part of the method of the older symbolism. It is to a great extent this element no longer seizable by our way of thinking that has baffled certain Western scholars and made them cry out that these scriptures are a mixture of the sublimest philosophical speculations with the first awkward stammerings of the child mind of humanity. The Upanishads are not a revolutionary departure from the Vedic mind and its temperament and fundamental ideas, but a continuation and development and to a certain extent an enlarging transformation in the sense of bringing out into open expression all that was held covered in the symbolic Vedic speech as a mystery and a secret. It begins by taking up the imagery and the ritual symbols of the Veda and the Brahmanas and turning them in such a way as to bring out an inner and a mystic sense which will serve as a sort of psychical starting-point for its own more highly evolved and more purely spiritual philosophy. There are a number of passages especially in the prose Upanishads which are entirely of this kind and deal, in a manner recondite, obscure and even unintelligible to the modern understanding, with the psychic sense of ideas then current in the Vedic religious mind, the distinction between the three kinds of Veda, the three worlds and other similar subjects; but, leading as they do in the thought of the Upanishads to deepest spiritual truths, these passages cannot be dismissed as childish aberrations of the intelligence void of sense or of any discoverable bearing on the higher thought in which they culminate. On the contrary we find that they have a deep enough significance once we can get inside their symbolic meaning. That appears in a psycho-physical passing upward into a psycho-spiritual knowledge for which we would now use more intellectual, less concrete and imaged terms, but which is still valid for those who practise Yoga and rediscover the secrets of our psycho-physical and psycho-spiritual being. Typical passages of this kind of peculiar expression of psychic truths are Ajatashatru's explanation of sleep and dream or the passages of the Prasna Upanishad on the vital principle and its motions, or those in which the Vedic idea of the struggle between the Gods and the demons is taken up and given its spiritual significance and the Vedic godheads more openly than in Rik and Saman characterised and invoked in their inner function and spiritual power. I may cite as an example of this development of Vedic idea and image a passage of the Taittiriya in which Indra plainly appears as the power and godhead of the divine mind: He who is the Bull of the Vedas of the universal form, he who was born in the sacred rhythms from the Immortal,- - may Indra satisfy me through the intelligence. O God, may I become a vessel of the Immortal. May my body be full of vision and my tongue of sweetness, may I hear the much and vast with my ears. For thou art the sheath of Brahman covered over and hidden by the intelligence. < And a kindred passage may also be cited from the Isha in which Surya the Sun-God is invoked as the godhead of knowledge whose supreme form of effulgence is the oneness of the Spirit and his rays dispersed here on the mental level are the shining diffusion of the thought mind and conceal his own infinite supramental truth, the body and self of this Sun, the truth of the spirit and the Eternal: The face of the Truth is covered with a golden lid: O fostering Sun, that uncover for the law of the truth, for sight. O fosterer, O sole Rishi, O controlling Yama, O Surya, O son of the Father of creatures, marshal and mass thy rays: the Lustre that is thy most blessed form of all, that I see, He who is this, this Purusha, He am I. The kinship in difference of these passages with the imagery and style of the Veda is evident and the last indeed paraphrases or translates into a later and more open style a Vedic verse of the Atris: Hidden by your truth is the Truth that is constant for ever where they unyoke the horses of the Sun. There the ten thousands stand together, That is the One: I have seen the supreme Godhead of the embodied gods. This Vedic and Vedantic imagery is foreign to our present mentality which does not believe in the living truth of the symbol, because the revealing imagination intimidated by the intellect has no longer the courage to accept, identify itself with and boldly embody a psychic and spiritual vision; but it is certainly very far from being a childish or a primitive and barbarous mysticism; this vivid, living, luminously poetic intuitive language is rather the natural expression of a highly evolved spiritual culture. The intuitive thought of the Upanishads starts from this concrete imagery and these symbols, first to the Vedic Rishis secret seer words wholly expressive to the mind of the seer but veils of their deepest sense to the ordinary intelligence, link them to a less covertly expressive language and pass beyond them to another magnificently open and sublime imagery and diction which at once reveals the spiritual truth in all its splendour. The prose Upanishads show us this process of the early mind of India at its work using the symbol and then passing beyond it to the overt expression of the spiritual significance. A passage of the Prasna Upanishad on the power and significance of the mystic syllable AUM illustrates the earlier stage of the process: This syllable OM, O Satyakama, it is the supreme and it is the lower Brahman. Therefore the man of knowledge passeth by this house of the Brahman to the one or the other. And if one meditate on the single letter, he getteth by it knowledge and soon he attaineth on the earth. And him the Riks lead to the world of men and there perfected in Tapas and Brahmacharya and faith he experienceth the greatness of the spirit. Now if by the double letter he is accomplished in the mind, then is he led up by the Yajus to the middle world, to the moon-world of Soma. He in the world of Soma experienceth the majesty of the spirit and returneth again. And he who by the triple letter again, even this syllable OM, shall meditate on the highest Purusha, is perfected in the light that is the Sun. As a snake putteth off its skin, even so is he released from sin and evil and is led by the Samans to the world of Brahman. He from this dense of living souls seeth the higher than the highest Purusha who lieth in this mansion. The three letters are afflicted by death, but now they are used undivided and united to each other, then are the inner and the outer and the middle action of the spirit made whole in their perfect using and the spirit knows and is not shaken. This world by the Riks, the middle world by the Yajus and by the Samans that which the seers make known to us. The man of knowledge passeth to Him by OM, his house, even to the supreme spirit that is calm and ageless and fearless and immortal. The symbols here are still obscure to our intelligence, but indications are given which show beyond doubt that they are representations of a psychical experience leading to different states of spiritual realisation and we can see that these are three, outward, mental and supramental, and as the result of the last a supreme perfection, a complete and integral action of the whole being in the tranquil eternity of the immortal Spirit. And later in the Mandukya Upanishad the other symbols are cast aside and we are admitted to the unveiled significance. Then there emerges a knowledge to which modern thought is returning through its own very different intellectual, rational and scientific method, the knowledge that behind the operations of our outward physical consciousness are working the operations of another, subliminal,- - another and yet the same, - of which our waking mind is a surface action, and above - perhaps, we still say - is a spiritual superconscience in which can be found, it may well be, the highest state and the whole secret of our being. We shall see, when we look closely at the passage of the Prasna Upanishad, that this knowledge is already there, and I think we can very rationally conclude that these and similar utterances of the ancient sages, however perplexing their form to the rational mind, cannot be dismissed as a childish mysticism, but are the imaged expression, natural to the mentality of the time, of what the reason itself by its own processes is now showing us to be true and a very profound truth and real reality of knowledge. The metrical Upanishads continue this highly charged symbolism but carry it more lightly and in the bulk of their verses pass beyond this kind of image to the overt expression. The Self, the Spirit, the Godhead in man and creatures and Nature and all this world and in other worlds and beyond all cosmos, the Immortal, the One, the Infinite is hymned without veils in the splendour of his eternal transcendence and his manifold self-revelation. A few passages from the teachings of Yama, lord of the Law and of Death, to Nachiketas, will be enough to illustrate something of their character. OM is this syllable. This syllable is the Brahman, this syllable is the Supreme. He who knoweth the imperishable OM, whatso he willeth, it is his. This support is the best, this support is the highest; and when a man knoweth it, he is greatened in the world of Brahman. The omniscient is not born, nor dies, nor has he come into being from anywhere, nor is he anyone. He is unborn, he is constant and eternal, he is the Ancient of Days who is not slain in the slaying of the body. . . . He is seated and journeys far, and lying still he goes to every side. Who other than I should know this ecstatic Godhead? The wise man cometh to know the great Lord and Self established and bodiless in these bodies that pass and has grief no longer. This Self is not to be won by teaching nor by brain-power nor by much learning: he whom the Spirit chooses, by him alone it can be won, and to him this Spirit discloses its own very body. One who has not ceased from ill-doing, one who is not concentrated and calm, one whose mind is not tranquil, shall not get him by the brain's wisdom. He of whom warriors and sages are the food and death is the spice of his banquet, who knoweth where is He? . . . The Self-born has cloven his doors outward, therefore man sees outward and not in the inner self: only a wise man here and there turns his eyes inward, desiring immortality, and looks on the Self face to face. The child minds follow after surface desires and fall into the net of death which is spread wide for us; but the wise know of immortality and ask not from things inconstant that which is constant. One knoweth by this Self form and taste and odour and touch and its pleasures and what then is here left over? The wise man cometh to know the great Lord and Self by whom one seeth all that is in the soul that wakes and all that is in the soul that dreams and hath grief no longer. He who knoweth the Self, the eater of sweetness close to the living being, the lord of what was and what will be, shrinks thereafter from nothing that is. He knoweth him who is that which was born of old from Tapas and who was born of old from the waters and hath entered in and standeth in the secret cavern of being with all these creatures. He knoweth her who is born by the life force, the infinite Mother with all the gods in her, her who hath entered in and standeth in the secret cavern of being with all these creatures. This is the Fire that hath the knowledge and it is hidden in the two tinders as the embryo is borne in pregnant women; this is the Fire that must be adored by men watching sleeplessly and bringing to him the offering. He is that from which the Sun rises and that in which it sets: and in him all the gods are founded and none can pass beyond him. What is here, even that is in other worlds, and what is there, even according to that is all that is here. He goes from death to death who sees here only difference. A Purusha no bigger than a thumb stands in man's central self and is the lord of what was and what shall be, and knowing him thenceforth one shrinks from nothing that is. A Purusha no bigger than a man's thumb and he is like a light without smoke; he is the Lord of what was and what shall be; it is he that is today and it is he that shall be tomorrow. The Upanishads abound with passages which are at once poetry and spiritual philosophy, of an absolute clarity and beauty, but no translation empty of the suggestions and the grave and subtle and luminous sense echoes of the original words and rhythms can give any idea of their power and perfection. There are others in which the subtlest psychological and philosophical truths are expressed with an entire sufficiency without falling short of a perfect beauty of poetical expression and always so as to live to the mind and soul and not merely be presented to the understanding intelligence. There is in some of the prose Upanishads another element of vivid narrative and tradition which restores for us though only in brief glimpses the picture of that extraordinary stir and movement of spiritual enquiry and passion for the highest knowledge which made the Upanishads possible. The scenes of the old world live before us in a few pages, the sages sitting in their groves ready to test and teach the comer, princes and learned Brahmins and great landed nobles going about in search of knowledge, the king's son in his chariot and the illegitimate son of the servant-girl, seeking any man who might carry in himself the thought of light and the word of revelation, the typical figures and personalities, Janaka and the subtle mind of Ajatashatru, Raikwa of the cart, Yajnavalkya militant for truth, calm and ironic, taking to himself with both hands without attachment worldly possessions and spiritual riches and casting at last all his wealth behind to wander forth as a houseless ascetic, Krishna son of Devaki who heard a single word of the Rishi Ghora and knew at once the Eternal, the ashramas, the courts of kings who were also spiritual discoverers and thinkers, the great sacrificial assemblies where the sages met and compared their knowledge. And we see how the soul of India was born and how arose this great birth-song in which it soared from its earth into the supreme empyrean of the spirit. The Vedas and the Upanishads are not only the sufficient fountain-head of Indian philosophy and religion, but of all Indian art, poetry and literature. It was the soul, the temperament, the ideal mind formed and expressed in them which later carved out the great philosophies, built the structure of the Dharma, recorded its heroic youth in the Mahabharata and Ramayana, intellectualised indefatigably in the classical times of the ripeness of its manhood, threw out so many original intuitions in science, created so rich a glow of aesthetic and vital and sensuous experience, renewed its spiritual and psychic experience in Tantra and Purana, flung itself into grandeur and beauty of line and colour, hewed and cast its thought and vision in stone and bronze, poured itself into new channels of self-expression in the later tongues and now after eclipse reemerges always the same in difference and ready for a new life and a new creation. Source: This article was originally published in the Arya in 1920 and is currently in the public domain. It is reproduced here as per the international conventions on copyright laws for the benefit of our readers.